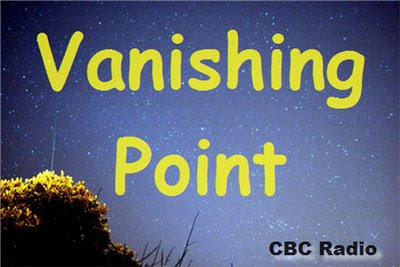 I love radio shows but I do not get Vanishing Point at all. Most of the stories are about absolutely nothing and make no sense. One episode is about a father in the hospital and THAT'S IT. No point to the story at all. Weird. I know what you mean. I just finished listening to "The Blue Devil" episode of Vanishing Point and all I heard were a bunch of women chanting throughout their private community. Boring. These shows are all awesome, They are stories like the dream state that you slide in to at night that makes no sense but in the dream makes every bit of sense ... to explain it all that's the best way i can and its the reality.. the shows are written and designed to confuse and twist and have meanings in small ways just as a dream to a sleeper at night. Vanishing Point needs to make a return!! I love the stories. They leave it up to the listener to fill in the blanks and figure out what happened. If you get distracted, you'll miss key elements to the story. In the Startek or whatever episode, is the woman's name... Bergit? Weird name.